Over the past 12 months, I have been pleasantly surprised with the new activity in high-reliability vapor-cleaning processes. Several companies, such as Baron-Blakeslee, are in the process of reinventing vapor degreasing as we once knew it. 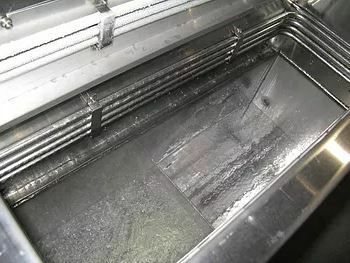 The simple vapor degreasing process of the past is fading and new equipment controls and vapor controls are increasingly reducing solvent usage AND the chance of human exposure to the solvents, which is ALWAYS a "good thing" regardless of this year's chemical target list. No one wants to endanger their working employees. And this is where I make my case against the continued use of "old, worn out" vapor degreasers. I have visited many companies and provided recommendations that are constantly designed to protect employee health and safety while at the same time increasing the reliability and efficiency of the contamination removal process. The design engineers have introduced a two-stage ventilation system that automatically increases the volumetric flow rate (50 CFM to 250 CFM) whenever the cover of the vapor degreaser is opened. It is also a lip exhaust that pulls away from the worker employee so that the fumes extracted do not zip by the worker employee's face first, before being ventilated. This system may be considered a luxury by some companies as it adds about 10% to 15% to the cost of a new vapor degreaser. I am available to provide a Consulting Health and Safety Audit for your chemical process to help you to consider and weigh the costs and benefits of improving your process and reducing the liability to your organization. Contact Rick Perkins, Chief Engineer at Chem Logic, at 512-426-5728, or at rperkins@chemlogic.us Hablamos Espanol.